Designer Match - Answers and Winner! Michelle, please email your address to amuseapalooza@comcast.net and we'll send your goodies! Stay tuned, our next game starts today! 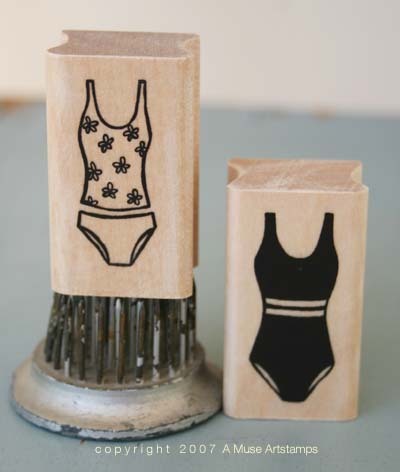 If there's one thing we crafty gals seem to like as much as stamps, paper, and ribbon ... it's organizing it! And we're always on the look out for storage inspiration and ideas! 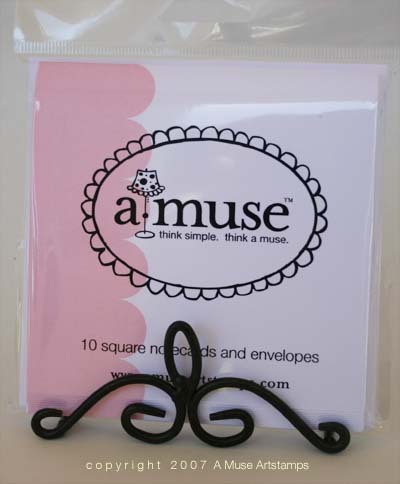 With that in mind, we want to see how YOU store your A Muse goodies! 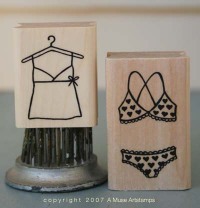 Upload photos of your A Muse storage ideas to the gallery at Splitcoast Stampers, taking care to include the keyword AP08STORAGE in the title or description. When you're finished, copy the url/link of your upload and post it in the comments area of this post by Friday July 4th. Here's a few photos of how I store my A Muse goodies! Ribbon, notecards, pretty little papers, and Creative Candy stored in CD holders. 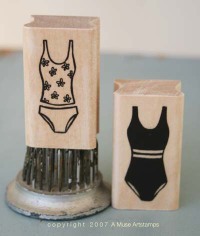 And my image stamps, sorted in drawers, by category. 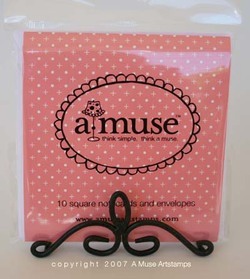 And we can't forget all those awesome A Muse sentiments! I store mine together, separate from the images. 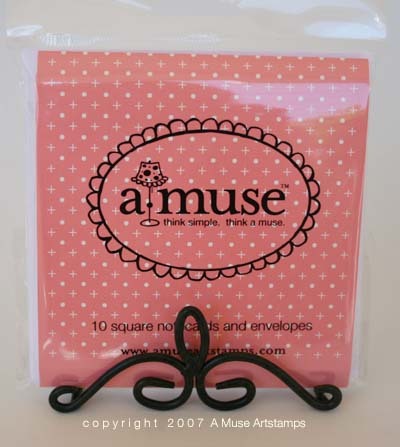 I can't wait to see how you guys store your A Muse goodies! 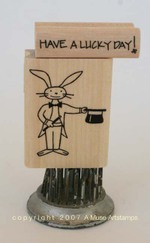 And ... we have a fun little prize for one lucky person! The winner will be chosen, at random, from all those who share their storage ideas! And we still have plenty of fun and games planned as we countdown to A-MUSE-A-PALOOZA 2008! We have another fun game this week! It's time to play Designer Match! How well do you know each of these designer's stamping styles? We posted one card made by each designer in THIS photo album (or click on each card piece below). Study the cards carefully and make note of who you think designed each one. Then click here to enter your guesses! The game ends on Sunday, June 29th at midnight. One entry per person and you must be registered to play. All entries with correct answers will be entered in a random drawing and the winner will receive a fabulous A Muse prize package! Good luck! It's time to reveal the correct answers for A Muse Clue! And here's the actual card Geeta created! Congratualtions, Erika! Here's what you've won! Erika, please email your address to amuseapalooza@comcast.net and we'll send your goodies! We hope you've enjoyed A Muse Clue! Stay tuned - we have more winners to announce and our next game starts TODAY! So ... do you know who stamped the mystery card? What stamp they used? And on what color notecard? You can guess one more time, so be sure to get your final guess in! Just a quick reminder about our current games and challenges. Hurry - they all end tomorrow night! We hope you're enjoying our fun and games! And guess what? We aren't slowing down! Coming up next week... a new game, a new challenge, and another mystery hostess! Who do you think it will be this time? Stay tuned! Another clue for you to cross off your list of possible answers in our A Muse Clue game! You may guess once per day! And remember to check out the blogs of the Creative Team to see who else might have a clue for you! You may guess once per day! And remember to check out the blogs of the Creative Team to see who else might have a new clue for you! 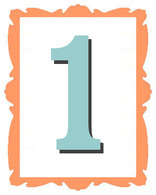 You may guess once per day and we'll have another clue for you tomorrow! You may guess once per day. And some members of our Creative Team posted clues on their blogs yesterday, so if you haven't seen those already, be sure to take a look! Good Luck! You may guess once per day. And don't forget to check out the blogs of the Creative Team to see who else might have a clue for you! Remember playing the board game Clue as a child? Then you’re all set for A Muse Clue! We’ll play it much the same way! However, instead of Colonel Mustard with the candlestick, in the dining room … you’ll be figuring out which A Muse Creative Team member made a secret card with what stamp on which color notecard. 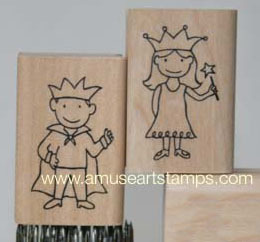 Your choices for stamps and notecards have been narrowed, but it could be ANY Creative Team member! Simply leave your guess, choosing one person, one stamp, and one notecard! Then check back tomorrow, because each day this week we’ll post a new clue to help you narrow down your guess! You may guess once a day. And … if you take a peek at blogs belonging to Creative Team members, you may just find more clues! All correct answers will be entered into a random drawing for a fun A Muse prize! The game ends Sunday, June 22 at midnight Pacific time. Ribbon Jar - Answer and Winner! Victoria, please email your address to amuseapalooza@comcast.net and we'll send your ribbon! Stay tuned for more winners and the next game! Any clue what it might be? Woohoo - it's been a fun week - lots going on here! Thought we'd post a list of all our current games and challenges since there's still time to play, but hurry - they end soon! We have a fun new contest for you this week! We filled a glass jar with lots of yummy A Muse ribbon. How many yards of ribbon do YOU think are in the jar? The game ends on Sunday, June 15th at midnight Pacific time. Make it a good guess, because you only get one entry! All entries with the correct answer will be entered in a random drawing and the winner will receive the jar with all of the fabulous A Muse ribbon inside!! If no one guesses the correct answer, the person with the closest guess wins! Good Luck! A Muse Feud - Survey Said! Gretchen, please email your address to amuseapalooza@comcast.net and we'll send your goodies! We hope you enjoyed the first game in our countdown to A-MUSE-A-PALOOZA. Thanks for playing the Feud and stay tuned for our next game! A Muse Feud - Final Round! To play, leave a comment on this post and include your guesses as to the most popular answer to each question. You are playing for the chance to win a fun and fabulous prize package from A Muse! If you haven't entered your guesses in any of the previous rounds yet, there's still time! We'll draw one random winner from all the correct entries that are posted before Sunday, June 8th at midnight Pacific time. (One entry per person per round please and you must be registered for A-MUSE-A-PALOOZA to play.) Good Luck! Play the Feud - Round 4! To play, leave a comment on this post and include your guesses as to the most popular answer to each question. You are playing for the chance to win a fun and fabulous prize package from A Muse! We'll post two new questions each day this week, so leave your comment with your guesses and then check back tomorrow for one more chance to play! Then we'll draw one random winner from all the correct entries that are posted before Sunday, June 8th at midnight Pacific time. (One entry per person per round please and you must be registered for A-MUSE-A-PALOOZA to play.) Good Luck! Round 3 of A Muse Feud! To play, leave a comment on this post and include your guesses as to the most popular answer to each question. 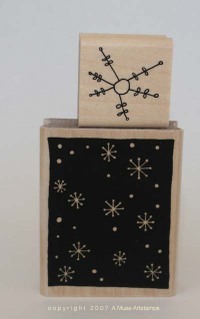 You are playing for the chance to win a fun and fabulous prize package from A Muse! We'll post two new questions each day this week, so leave your comment with your guesses and then check back tomorrow and Friday for another chance to play! A Muse Feud - Round 2! To play, leave a comment on this post and include your guesses as to the most popular answer to each question. You are playing for the chance to win a fun and fabulous prize package from A Muse! We'll post two new questions each day this week, so leave your comment with your guesses and then check back tomorrow for another chance to play! Then we'll draw one random winner from all the correct entries that are posted before Sunday, June 8th at midnight Pacific time. (One entry per person per round please and you must be registered for A-MUSE-A-PALOOZA to play.) Good Luck and stay tuned for our first design challenge later today! To play, leave a comment on this post and include your guesses as to the most popular answer to each question. You are playing for the chance to win a fun and fabulous prize package from A Muse! We'll post two new questions each day this week, so leave your comment with your guesses and then check back tomorrow for another chance to play.